It’s the holiday season — a time when many of us have some time off from work, school, or other obligations. And if any of you are like me, you’ll want to spend that spare time crafting, so I’ve pulled together a collection of five free (and in many cases, easy) craft patterns to keep you busy with during the holidays! If you’re looking for a way to keep your hands warm this winter, and have never tried knitting mittens, check out this pattern from Tin Can Knits! 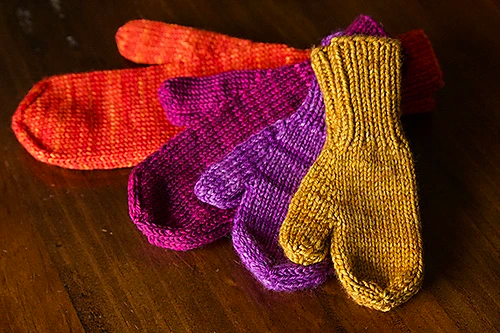 With sizes from toddler to adult, you can make mittens for just about anyone. Here’s another free and simple knitting project — this one’s actually been in my queue on Ravelry for quite some time. 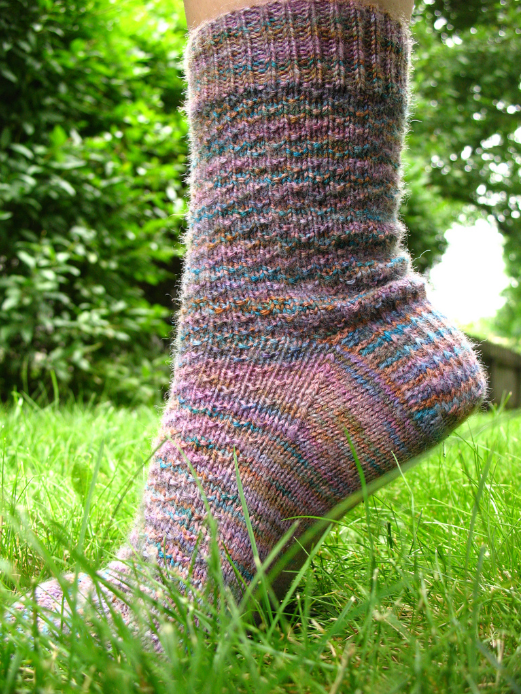 And come on, what Harry Potter fan wouldn’t want to make these simple socks inspired by Hermione? You could even try making them in Gryffindor red and gold, too. 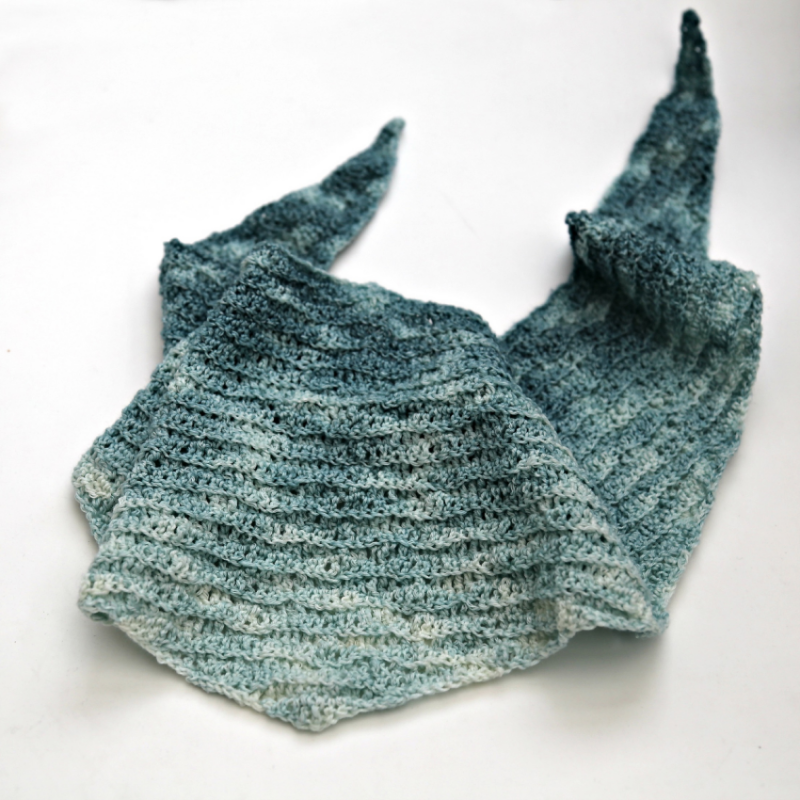 I love this pattern — in fact, I love it so much I’ve made two of these shawls. This pattern works especially well with yarn that has a slow color change to it, like the Lion Brand Shawl in a Cake yarns, as it results in a really pretty striping pattern. The shawl works up quickly, and the rhythmic pattern is somewhat soothing to do. If you’re looking for a quick and simple shawl to make, this one’s for you. 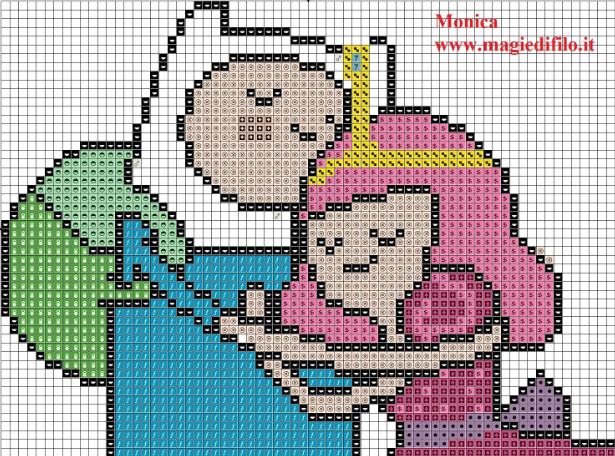 Who doesn’t love Finn and Princess Bubblegum? Here’s a quick little cross-stitch pattern of them hugging. A great quote from a great captain, from the movie Serenity. Thank you for including one of my patterns in your list!